Growing right from the stone-age civilization, Civil Engineering is considered as one of the oldest branches of engineering and has been an aspect of life since the beginnings of human existence. The first self-proclaimed civil engineer was John Smeaton who constructed the Eddystone Lighthouse. Today this profession has evolved and multiplied several folds. To define the nature, it is a professional engineering discipline that deals with the design, construction, and maintenance of the physical and naturally built environment, including works like roads, bridges and so on. However, with new materials and methods being invented continuously, being into a challenging job, a civil engineer needs to be on par with his/her contemporaries. Although due to the software and IT boom a few decades back, civil engineering was not regarded as the much-coveted course among Indian students but with the increasing need to develop and maintain India's infrastructure, which is lagging in all aspects, this field is bouncing back really strong. The recent policy measures announced by the government have led to an increase in the demand for civil engineers across the country. Lack of credible candidates to fill these vacancies has resulted in a significant hike in the pay packages being offered to civil engineers in India. Civil Engineering market size is expected to reach USD 11.72 trillion by 2025; according to a research report by Global Market Insights, Inc. recently. Hence, to define the future prospects for civil engineering graduates in India, lucrative opportunities can be expected in construction, energy, and power sector. In fact, civil engineering is one branch of engineering that has lesser unemployment rate than the other branches. The profession demands excellent skills for both administration and supervision of projects. Excellence and responsibility are important factors associated with the job. One who aspires to opt for a career in this field can pursue a professional degree or diploma. But in recent past, this field has undergone drastic changes in development and introduction of innovative fields and sub-domains. This has lead to the expansion of the specialization fields that are available to civil engineers at both undergraduate and postgraduate level programmes. The popular civil engineering specialization options available to students include Geotechnical engineering, Materials engineering, Transportation engineering, Infrastructure engineering, Water resources engineering, Coastal engineering and so on. In the present time, varied UG, PG and Ph.D. degrees are been offered by the end number of institutions of the country with less reliability of job assurance, facilities, and world-class teaching methodologies. This made us conduct a thorough research and formulate a list of reputed and reliable institutes under the "Top 10 Promising Civil Engineering Colleges in India -2018", that are genuinely rendering a quality education to the students. Each institution has been tabbed by our panel of experts with the hope to solve the baffles almost all the upcoming civil engineering students come across while selecting an institute to study. Alva's Institute of Engineering and Technology Mangaluru, Karnataka A premier institute in Managalore, it envisions to impart quality technical education to the students and mold them into excellent professionals and credible citizens. Faculty of Civil Engineering, DIT University Dehradun, Uttarakhand With a focus on self-learning and honing talents, the department is designed to render holistic education to the students ensuring their all-round development both as an individual and a citizen. Federal Institute of Science and Technology Angamaly Kerala A private self-financing engineering college, it is run by the Federal Bank Officers Association Educational Society with the sole intention of enhancing the quality and value of education and develop high-quality individuals. MAEER's MIT College of Engineering Pune, Maharashtra Affiliated to Savitribai Phule Pune University, the institute is known for its excellent academic track record and qualified, experienced and devoted faculty support and assistance. Maharaja Institute of Technology Mysore Mysore, Karnataka Boasting of world-class facilities, the institute is managed by a team who are having extensive knowledge in the field of technical education and single-minded to serve society at a high level. Nalla Malla Reddy Engineering College Hyderabad, Telangana Established in the year 2001, the college believes in educating the students by adopting maximum practical approaches in the curriculum enabling them to be employable. R.V. College of Engineering Bangalore, Karnataka One of the best engineering colleges in Bangalore, RVCE opens an unparallel door of opportunities for its students through bringing on job prospectus to the campus. Royal School of Engineering and Technology Guwahati, Assam Located in Guwahati, Assam, RGU has evolved a major educational hub in the North Eastern region that maintains a particular commitment to exceptional undergraduate and postgraduate instructions. SAL College of Engineering Ahmedabad, Gujarat Giving downright importance to research, the institute encompasses a wide range of facilities to undertake research and studies in the field of engineering and other related educational fields. 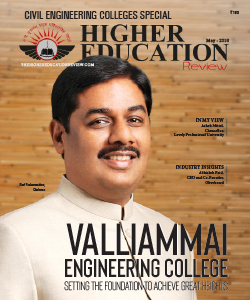 Valliammai Engineering College Chennai, Tamil Nadu A division of SRM Group of Educational Institutions, this college was initiated to contribute to the development of human resources in the form of professional engineers and managers.